On Tuesday, May 22nd, Arts in the Park will begin it’s 22nd year of free music and art demonstrations. Our first show will feature a heartfelt performance from musicians Kevin Barr and Hank Karr, a silkscreening lesson led by Jona Barr, and a barbecue (weather permitting)! Come by for the first of many free LePage Park performances this year! Everyone is welcome. 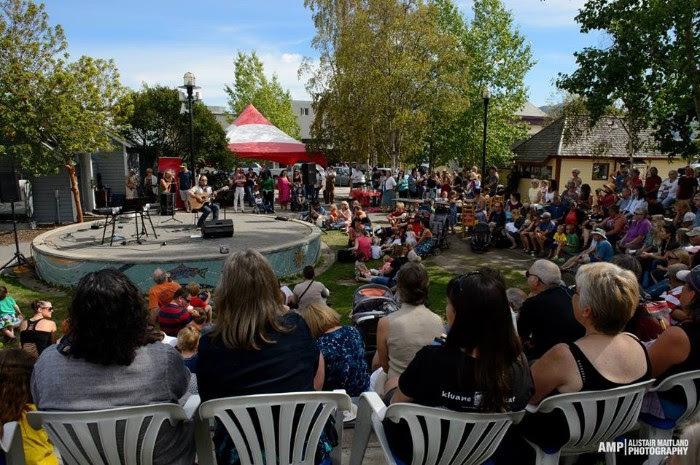 Arts in the Park will continue to host public events in association with Music Yukon throughout the summer. Performances take place from Monday to Friday every noon hour and on Wednesday evenings from 7-8pm.